For the fifth consecutive year, the Campbell University community celebrated our founding in 1887 with Campbell Founders Week. Each first week of February, campus comes alive with tributes to our founders that honor where we came from and where we are today. This year’s Founders Week celebrated the women of Campbell. We honored the servant leadership of founding first lady Cornelia Pearson Campbell, female athletes, student leaders, donors, staff and faculty through a series of events for alumni, students, faculty, staff and friends. As a part of this Campbell tradition, faculty and staff are encouraged to nominate students for the President’s Heritage Award. 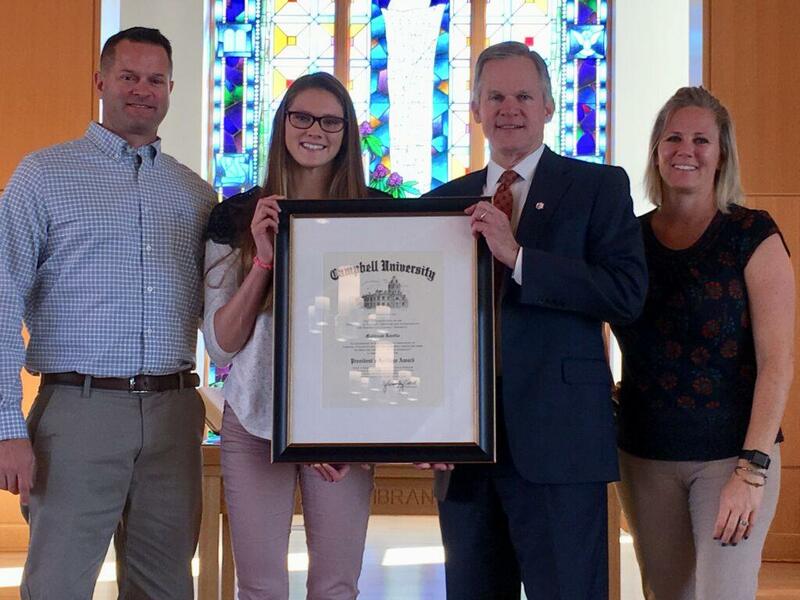 This award is bestowed upon a student who exemplifies leadership attributes of each of Campbell’s exceptional presidents and who shares a sincere passion for Campbell University and her unique mission. 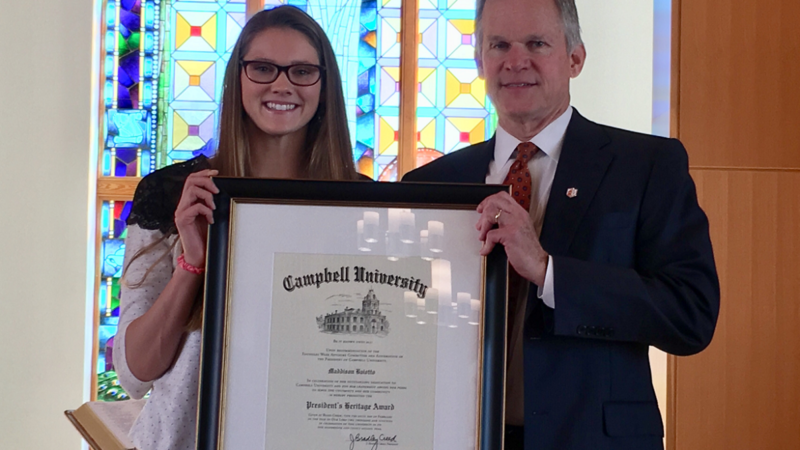 Maddison Baiotto, a biology major and standout athlete on the Campbell Women’s Swimming team, was chosen as the recipient of the 2019 President’s Heritage Award and accompanying scholarship. Maddison is a Campbell junior from Hubert, NC, and is a true example of Campbell’s mission of leading with purpose. For more information on this year’s Founders Week visit alumni.campbell.edu.